Toronto's long wait until they return to Canada is nearly over. 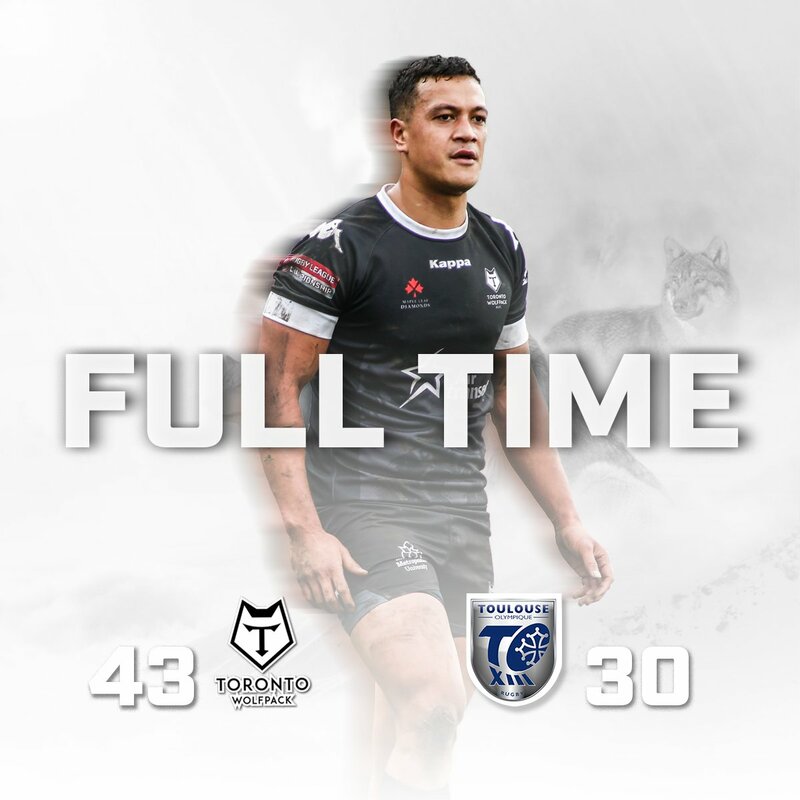 However,they played in arguably their biggest environment over the weekend as they beat Toulouse 43-30 in front of nearly 40,000 people in Newcastle. The match was part of the "Magic Weekend" in rugby league in England. Liam Kay was the hero once again with a hat-trick of tries. Toronto now have one more week in England before heading back to Canada. The likelihood is that they back with the five point lead they currently have in the standings. They play the fifth place Leigh Centurions next week. In the league below Ryan Burroughs was named the Man of the Match for the London Skolars. Unfortunately for the Skolars they lost to Whitehave 42-26. Burroughs is on loan from the Wolfpack to the Skolars for the season.